We are all back home now after out recent trip to Tanzania. Gillian and Wendy returned first as they were going to a friend’s wedding back in Scotland. Gillian in particular worked very hard while she was in Peramiho and has given the team a lot of accountancy and business advice. 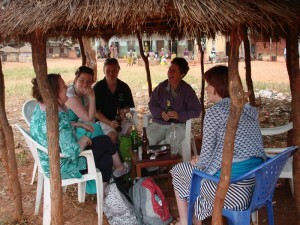 While they were in Peramiho they all made friends with the locals around the pool table at the market. Wendy and Lorna had hoped that they would be able to blog frequently throughout the trip but for a variety of reasons that didn’t happen. Either the internet was down or it was so slow that there wasn’t time to do more than check email. The school is progressing slowly and we hope that an injection of cash this month will speed things up. The classroom buildings are almost complete although they still need to be wired for electricity and painted outside and in. We have suggested a colour scheme of cream walls with torquoise blue trim which will contrast beautifully with the orange tiles. The estimate for joining the school to the electricity grid including two poles and a transformer should be with us soon. There is a special price on offer just now and it will be more expensive if we leave it until next year. Once the last of the plasterwork is done, the builder is going to work on the administration block to demolish the broken arch and strengthen the weak foundations. 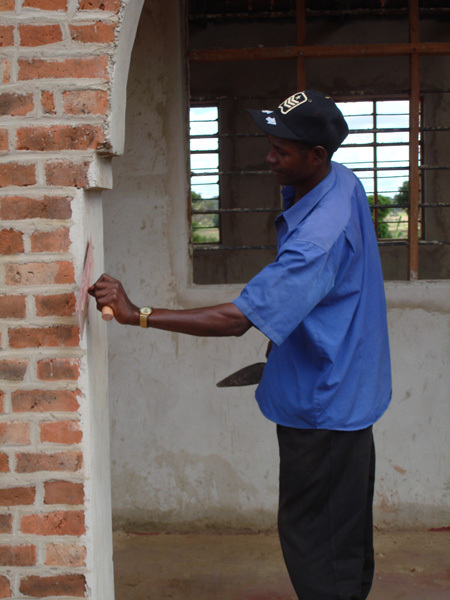 He can then move on to complete the main part of the building before finishing the toilet block which was getting its roof struts made while we were there. 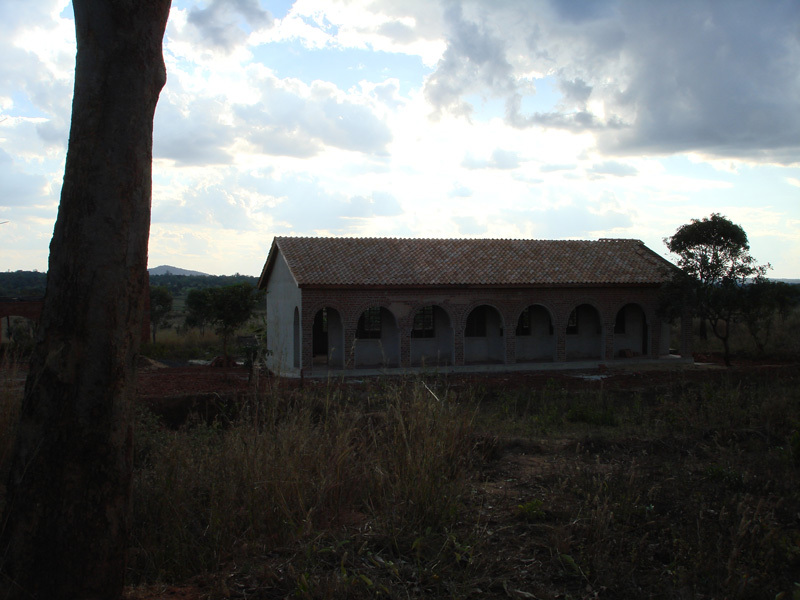 The brick built storage shed will also need to be converted into kitchens and given a tile roof, So there is still plenty to do before the school opens in January. January is the start of the school year so it makes sense to open then – it also means we can get the container with the furniture over there in time. I now have a list of twenty children who will be sponsored and I am getting in touch with all the friends who expresed an interest last year in sponsoring to see if they still want to. So far I have managed to place eight children – so not quite half way there. We have identified a local joiner in Peramiho who will make the bunk beds we need for the sponsored children. It is not clear at the moment how many of the private pupils will be boarding but the school will have to be advertised soon so that parents can put their children’s names down and at that point we will get a better sense of how many will be boarding. Some of the staff have been identified and we have a matron to sleep with the children overnight who has nursing experience. The fencing which is required to surround the nursery classrooms will be made from bamboo and the well still needs to be sealed and a pump installed. We suggested that all the bricks that will be needed for phase two should be made now while it is dry so that some building can continue to be done during any dry days once the wet season begins in November. We had discussions about what the second phase of the building might be but there is still a great deal to be done for the first phase. I am trying to contact Ralph and Noreen Ibbott about this project. Please put me in touch. Glad to hear developments are on.